Snohomish County Parks welcomes you to join the celebration. 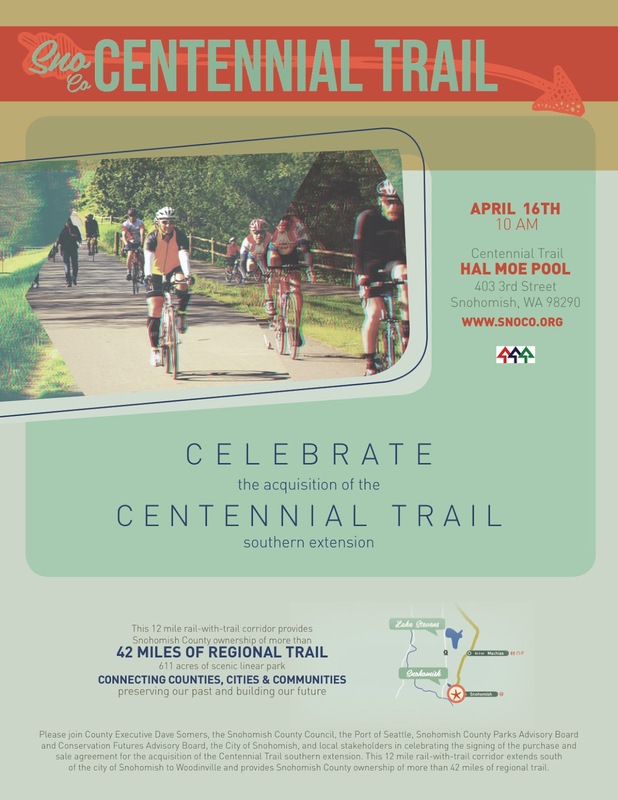 The Eastside Rail Corridor is progressing with new regional connection being developed by Snohomish County. We are all looking forward to exploring this long chain of continuous trails.